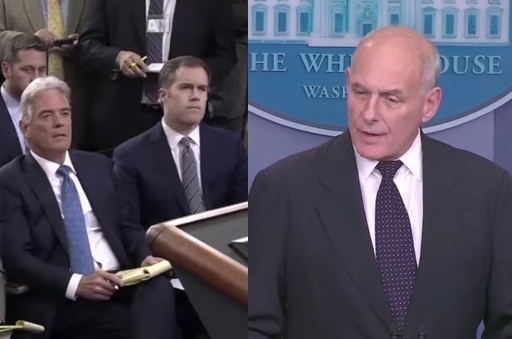 You could hear a pin drop during White House Chief-of-Staff John Kelly’s press briefing today. Instead of the usual short statement followed by questions and answers, Kelly spent most of the 20 minute conference explaining the process that follows the death of a uniformed service member. Included were Kelly’s emotional description of condolences received from son Robert’s squad members following his combat death in Afghanistan. But Kelly took special time to denounce the actions and comments of Florida Democratic Congresswoman Frederica Wilson. The media ran with the story. The New York Times headline flashed: “Trump’s Condolence Call to Soldier’s Widow Ignites an Imbroglio.” Vox called it “The Raging Controversy…” The Times also accused Trump of lying when Trump claimed that Obama never called families of fallen servicemembers. Kelly said that Trump asked him how other presidents handled this sensitive issue. Kelly responded by saying that Obama did not call when his son was killed. “That is not a criticism,” he said. Kelly said that some presidents elect to make calls, some don’t. All send letters. It doesn’t really matter because “there’s not much that can really take the edge off what the family is going through,” he said. Kelly explained to an uncharacteristically hushed press corps, that President Trump followed Kelly’s specific advice when he made the call. Kelly explained that as a Marine officer he was counseled to say the same thing, and did so the many times he was required to make those devastating calls to loved ones of fallen Marines — sometimes the very men he had sent into battle. He would reassure families that their loved ones knew what they were getting into, and they were doing what they wanted to do with the people they wanted to do it with. They were making the most of life by being of service to others, and serving alongside some of the best people in the world. This was Trump’s message to Mrs. Johnson as well, he said. But I just thought, the selfless devotion that brings a man or a woman to die on the battlefield… I just thought that that might be sacred. I appeal to America. Let’s not let this maybe last thing that’s held sacred in our society — a young man or young woman going out and giving his or her life for this country. Let’s try to somehow keep that sacred. But it eroded a great deal yesterday, by the selfish behavior of a member of Congress. Kelly further broke precedent by limiting questions to only those reporters who knew someone in a Gold Star family – i.e. a family that has lost a family member in combat. That limited the questioners to a very few, and one suspects even some of them may have been ignoring Kelly’s request. This was a truly moving speech, even though Gen. Kelly did not intend it to be a speech. He was just relating an aspect of military service that is rarely if ever mentioned outside of the military. But it ranks, with its quiet dignity, among the best I have heard in recent memory. It was moving and powerful because it was heartfelt and direct from someone who lived it. 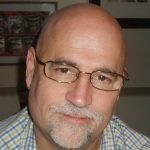 It imposed an enforced humility even on the towering arrogance of the DC press corps, because it dealt with an issue few of them know anything about: the profound selflessness of active-duty military members who face death and life-altering injury on the battlefield as part of their usually thankless, everyday job. Kerry’s attitude defines today’s media mavens and corrupt political class. Thank you Gen. Kelly for calling them on it.